It's been pretty rainy in St Louis lately but I've enjoyed some wet afternoons at home with my yarn basket and Dr. Who on Netflix. Some days, I love to sit with the windows open and listen to the rain fall on my tin awnings and knit or crochet something. Noontide Jumper-Cardigan from one of my favorite knitting resources, Subversive Femme- Bex has an amazing collection of free vintage knitting patterns on her blog! 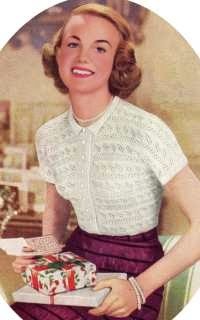 Lace Knit Blouse from Vintage Purls- this is a fabulous source for vintage knitting with lots of free patterns. This week, I'm adding some new snood colors and art prints to the shop including my Knit and Puuurrl print, which I have hanging in my office. I usually bring something to work on when we go to my mom's house for the weekend and her bad kitties always get into the yarn or fall asleep on me while I work. Eeep! The kitty knitting print is precious! 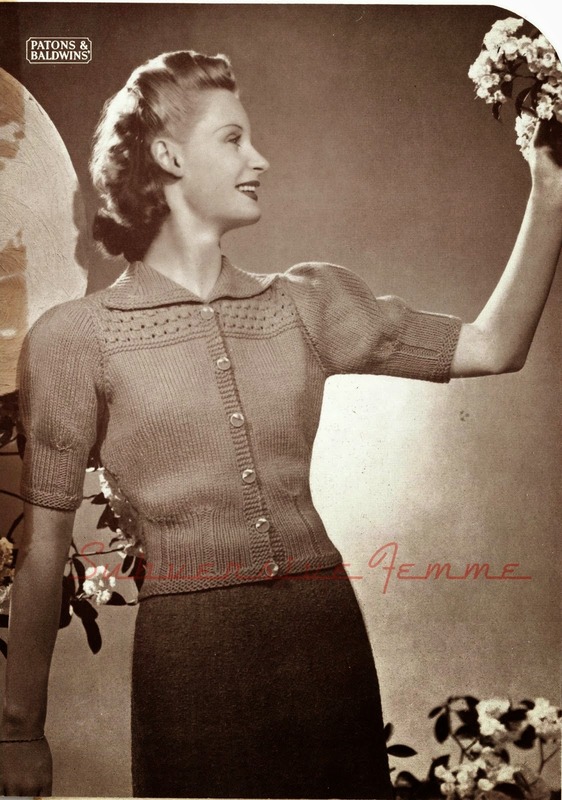 Nothing better than free knitting patterns! Your dress is lovely too, reminds me of a skirt I have. hello there,ciao...what a great photos! what a stunning look of Yours...You're such a great Artist of Style indeed...cheers!